Even though the Los Angeles Dodgers lost to the New York Mets in the National League Division Series, the future still looks bright in Los Angeles as they have a strong nucleus of young players on the roster and in the Minors. Led by rookies Joc Pederson and Corey Seager, Dodgers fans saw plenty of the youth that’s had scouts and talent evaluators buzzing in recent years. Like the fans, longtime Dodgers broadcaster Vin Scully is looking forward to seeing those players continue to develop next season. 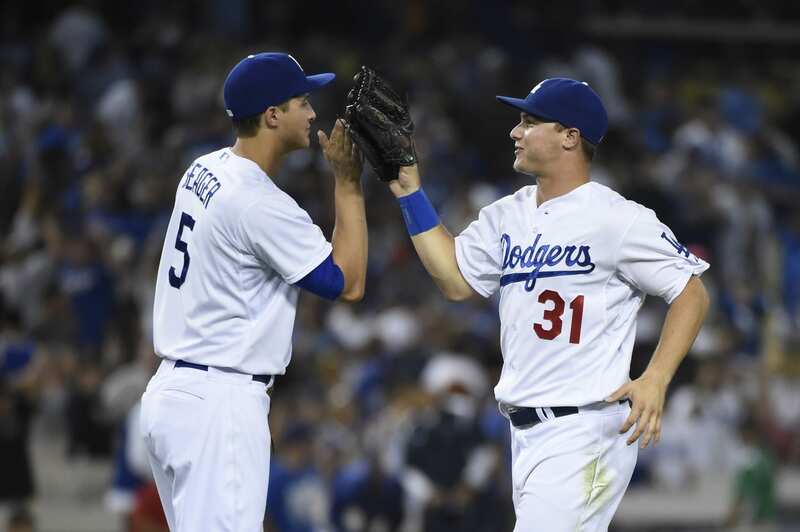 “I would like to see the development of Joc Pederson and also Corey Seager. I’m intrigued by Enrique Hernandez. I’m hoping Justin Turner and Yasmani Grandal will come back after surgery,” Scully told SportsNet LA’s Alanna Rizzo in an exclusive interview. Pederson became a fan favorite in the first half of the season, hitting 20 home runs before the All-star break and coming in second in the Home Run Derby. Pederson also started for the National League in his first career All-star game. However, he went cold in the second half, batting just .178 and hitting just six home runs. His walk rate also dropped before returning to a more acceptable clip. Pederson’s defense remained superb throughout his offensive slump, but he lost the starting center-field job to Hernandez. Seager, much like Pederson, dazzled Dodger fans from the very start, batting .337/.425/.561 with four home runs and 17 RBIs after being called up at the beginning of September. 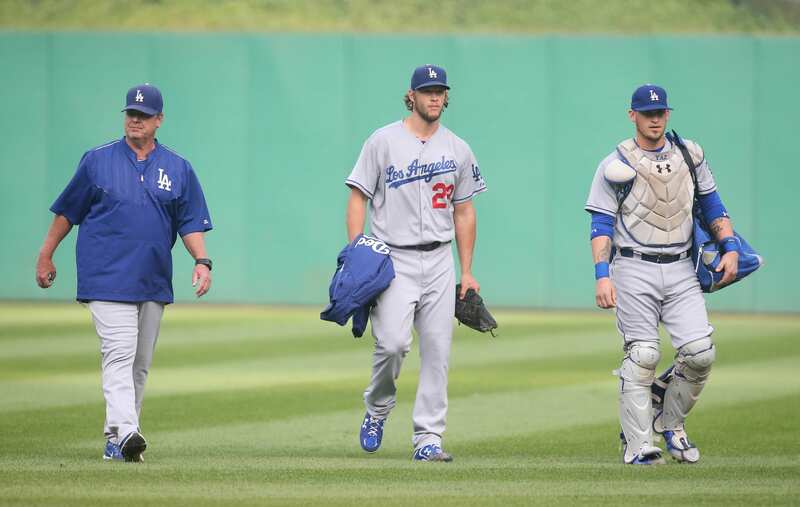 While they weren’t rookies, Hernandez, Grandal and Turner all showed signs of greatness in 2015 and will be integral parts of the 2016 team. Hernandez, who served as the team’s utility man in 2015, batted .307/.346/.490 with seven home runs and 22 RBIs in 218 plate appearances over 76 games. Hernandez figures to be an option at second base should the Dodgers not re-sign Howie Kendrick. 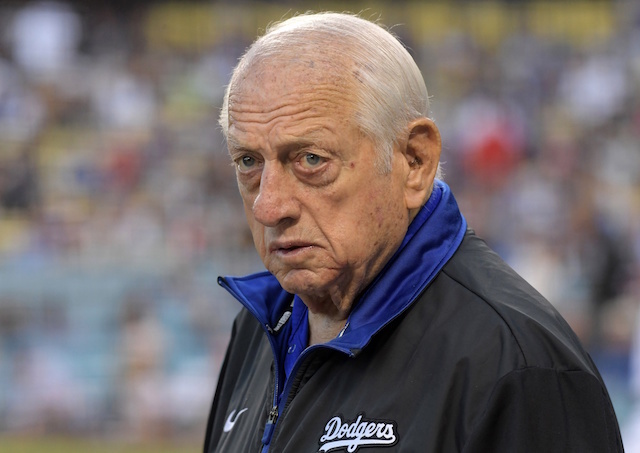 Scully missed the postseason due to undergoing a surgery, but said he is good health and looks forward to returning for the 2016 season, which will be his last as broadcaster.